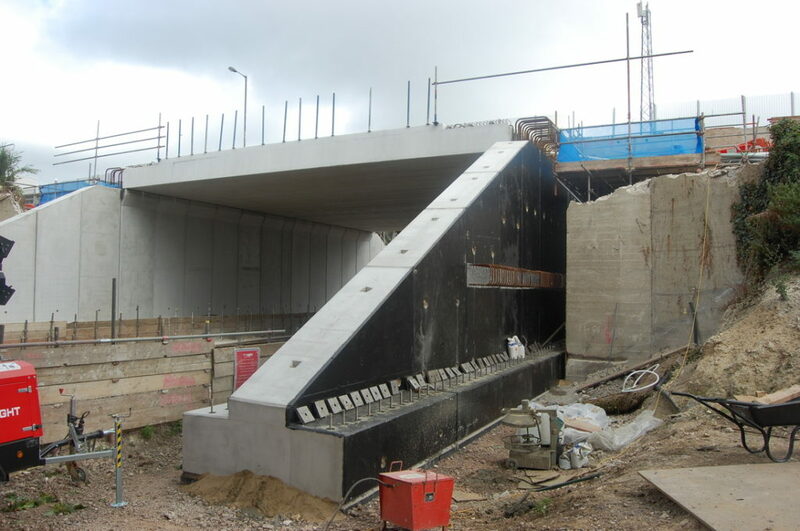 We supplied all precast elements for the Northern Road Bridge Replacement by Osborne. 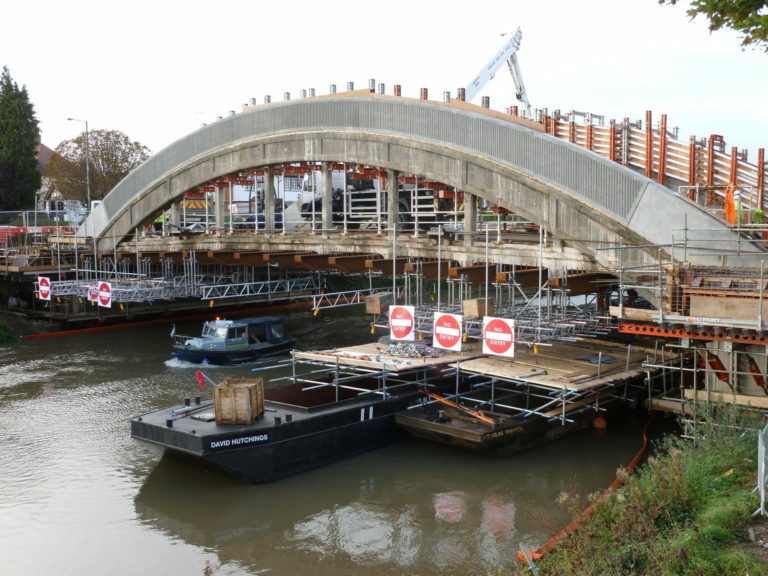 The project involved the replacement of the old reinforced concrete bridge which dates back to 1927 and was built using Mouchels Ferro concrete system patented originally by Hennebique. It is fitting that the new structure has been designed using Prestressed and reinforced Concrete. The deck consisted of 21 x TY7 and 2 x TYE7 bridge beams each approximately 15m long, we also manufactured and supplied the abutment walls and precast parapets. We worked closely with Osborne and WSP on the detailing of the precast concrete elements to improve the buildability of the bridge. 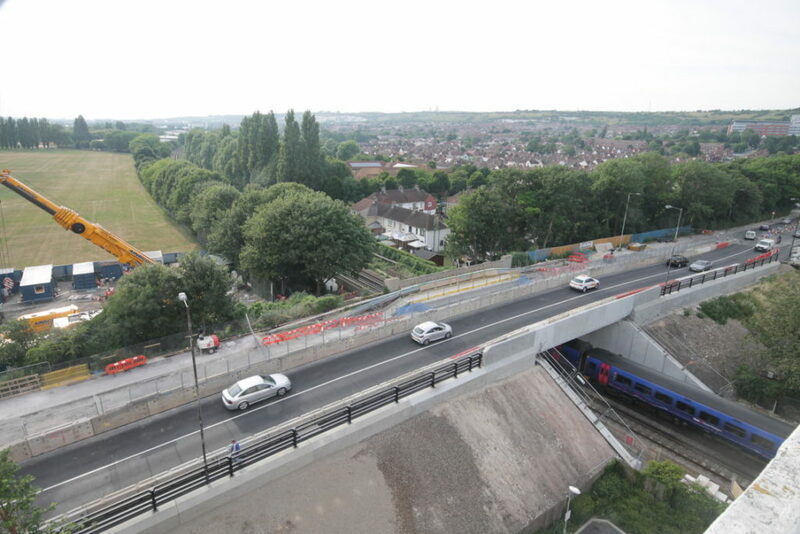 This was an important aspect of the contract as the bridge was erected during limited rail track possessions by PCE Ltd. 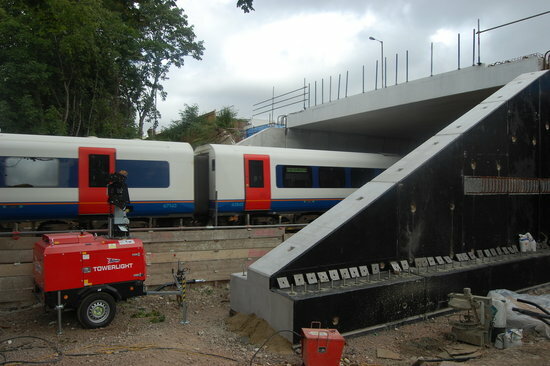 The bridge designed by WSP had some unique features – wing walls and abutments were cast with dowel holes which were installed over holding down bolts on site, this allowed rapid installation of elements without the requirement of temporary works or insitu stitches. The abutment walls incorporated a separation at mid-height which allowed the back of the wall to act as a cantilever retaining wall. The front of the wall which supported the beams had a corbel for extra bearing and was connected monolithically to the beams through positional couplers. This system allowed the front of the abutment to act as a sway wall for flexure in the portal frame system which was created. 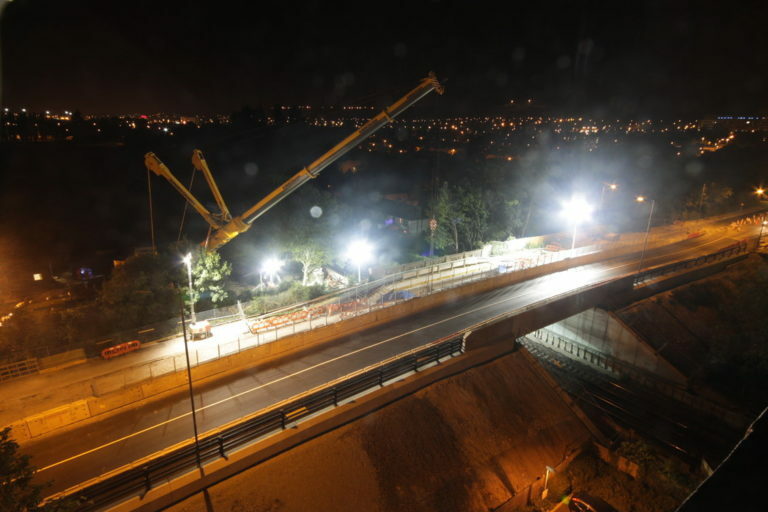 The bridge is an important traffic artery in the greater Portsmouth area and it was therefore a requirement to keep lanes open at all times during demolition and rebuilding.